At Khargo we make it our job to create your dream. We sell high quality furniture that is almost always menu driven for texture, tint, size and pose change. This is done to make it fit better to everyone's needs and occasions. More items will soon be added to the holorezzer once they are updated to the high standard that this shop will have for its items. All items will be created with the best sculpties, textures, scripts and poses you can find or make in SL. 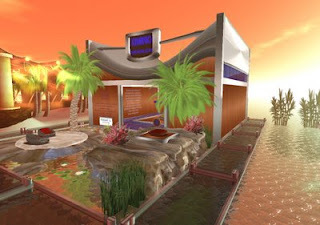 We also do custom building from small items to whole sims in any style (from tropical, heavenly to sci-fi). You dream it, we build it. Hope you enjoy your visit to Khargo and please let us know about any problems or suggestions you have that might improve our service or items.